Celebrating the Renaissance era humanist and author Thomas More’s contribution to the history of furniture design. And a work sadly now as lost as his fabled commonwealth…. 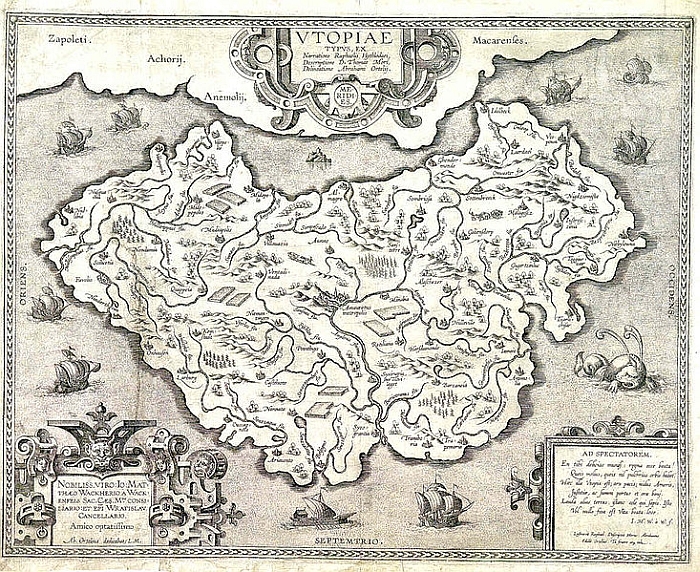 In late December 1516 the Flemish printer Dirk Martens published the first edition of Utopia by Thomas More, a retelling by More of an account of a far off commonwealth, one so strictly, logically and naturally governed that it has become the epitome of the ideal society. And a work which remains every bit as relevant, pertinent, critical and entertaining today as it ever was. For the fact that Utopia remains so contemporary indicating just how little we have evolved in the past five centuries. Reading Utopia in 2016 one realises that as a society we are exactly as we were then: a lovely bit of irony as it means Utopia apparently really is “no land”. In addition to its criticism of the contemporary religious practices, suggestions for improving democratic structures, pleading for a healthier relationship with money and a description of an innovative – if arguably over intensive – chicken husbandry system, Utopia also makes reference to a truly remarkable piece of furniture: if one that wasn’t to be found in far off Utopia, but in the much more mundane reality of 16th century Antwerp. In May 1515 Thomas More was dispatched to Belgium by King Henry VIII to re-negotiate trade and tariff terms – as we say, despite being 500 years old Utopia still perfectly captures the European Zeitgeist. During a break in proceedings Thomas More travelled from Bruges, where the negations were taking to place, to Antwerp “since my business required it”, and where he met the Flemish humanist and printer Peter Giles. At which point fact moves effortlessly into fiction. Firstly there is the logic of what they have done. Sitting on grass is one of the more natural things to do. Arguably one of the more pleasant. But not everyone can, or wants to, sit on the ground. So raise the grass up to a natural sitting height, secure it with native wood, and thus create a comfortable, cheap, sustainable garden bench. And a concept which not only allows for sitting, or if raised a little higher, perching, in any garden, but a seat/perch which becomes a feature, or if the space is big enough become features, creates height differences, disrupts the space, and thus exists as an integral part of the garden design: in contrast to most garden chairs which, regardless of how well designed, functional and comfortable they may be, are invariably foreign objects in your garden. And why stop at the garden….. such a concept will work just as well on a balcony or terrace; and when it rains, nothing gets ruined, but your cushion will become just a little lusher! And why stop outdoors…… what fresh young start-up wouldn’t love a conference/brainstorming room with grass benches! Or as informal meeting islands in a larger, open, office environment, and where again the presence of raised, grass topped, structures serves as a disruptor of the space, helping define the interior architecture. While at the same time helping improve the atmosphere and air quality. 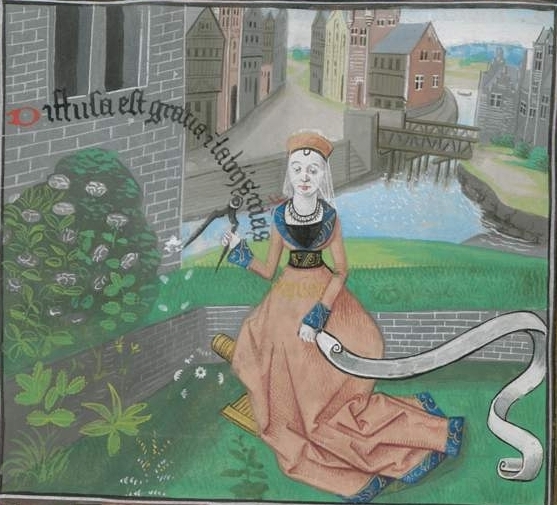 Yes, we hear you at the back, grass does take ages to grow and invariably does so in an awfully patchy fashion. Build a frame, buy a roll of turf. Jobs a good un! And yes if its inside you’ll have to water and cut it. All office plants need to be tended. That Thomas More’s Antwerp residence was but a temporary abode, the turf topped bench clearly wasn’t his idea. But then most of the ideas advanced in Utopia owe their providence to others. Largely to Roman scholars. Reading around the subject however one quickly comes to understand that such turf topped benches were a standard, and as far as we can ascertain, much loved, feature of the Medieval garden. By the time More, Giles and Hythloday took their places on such in Antwerp Europe was firmly in the grasp of the Renaissance, in a revival of the thinking of Greek and Roman scholars, and which included new ideas on garden design. Ideas which didn’t include old-fashioned Medieval concepts such as grass topped benches. The Renaissance the grass topped garden bench. Thus we have the delicious irony that thanks to men like Thomas More the grass topped bench vanished from European gardens: yet one of the best examples of the simple beauty, practicality, ingenuity, when not patent obviousness, of the concept, is to be be found in the fact that Thomas More sat on one, presumably part of a long established Medieval garden, to explain his ideal society. Gardens are of central importance in Utopia. Hythloday makes no reference to grass topped benches. Which we feel perfectly demonstrates the universal truth that the best, most logical and most practical solutions aren’t always the new ones. In many cases they already exist, and can be so obvious you can sit on them without even realising it. As we said, after 500 years Utopia still has a lot to teach us.